Anthony V. Curto began his legal career at a Manhattan law firm, followed by ten years as President and Chairman of Whitney Enterprises. In 1981, he joined a prominent Long Island law firm as a member of its three-person Executive Committee, managing its corporate department. 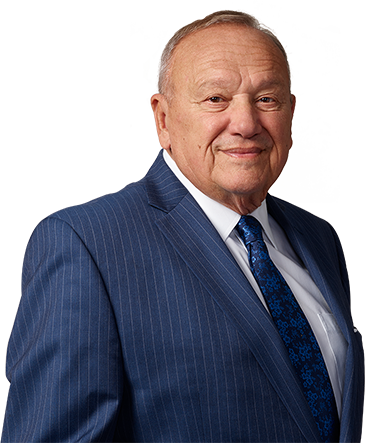 In 1991, he founded and became President of Curto, Barton & Alesi, P.C., which merged with the Firm in 1999. Mr. Curto’s work centers on structuring, negotiating and documenting a variety of complex transactions on behalf of regionally and nationally known clients. He counsels public and private corporations in major transactional matters, including: mergers and acquisitions, joint ventures, partnering arrangements, and the reorganization of business enterprises and assets, across a variety of industries. He also represents corporations in formation, early stage, and venture capital financings, and advises clients in private placements and public offerings of securities. Mr. Curto has been associated with a number of high profile matters, including the creation of the Bernard M. Baruch Foundation. He has also represented an assortment of celebrities and personalities, including Aleksandr I. Solzhenitsyn, Harry Chapin, Mike Francesa, Father Tom Hartman, Paula Abdul, Joy Mangano, among others. An advocate of community service, Mr. Curto has received numerous awards for his active role in community endeavors, including the 1984 Congressional Achievement Award and the 1987 Martin Luther King “Living the Dream” Service Award. Mr. Curto was cited as the 37th Most Influential Long Islander by the Long Island Press in 2008. He was a Networking Magazine David Award Honoree in 2008, mentioned in ‘Who’s Who in Corporate Law’ by the Long Island Business News and was a recipient of the Telecare Award of Excellence in 2010. In 2013, Mr. Curto published his book, “A Time for Justice” and in 2016, Mr. Curto also received the Huntington Arts Council Harry Chapin Humanitarian Award. Firm represents client Joy Mangano in connection with an agreement to produce a musical based on her life story. $90 Million Dollar Judgment Dividend Awarded in Dallas County, Texas District Court on Behalf of “Minority” Shareholder in Case Handled by Partners Anthony V. Curto, Esq. and Joseph V. Cuomo, Esq.